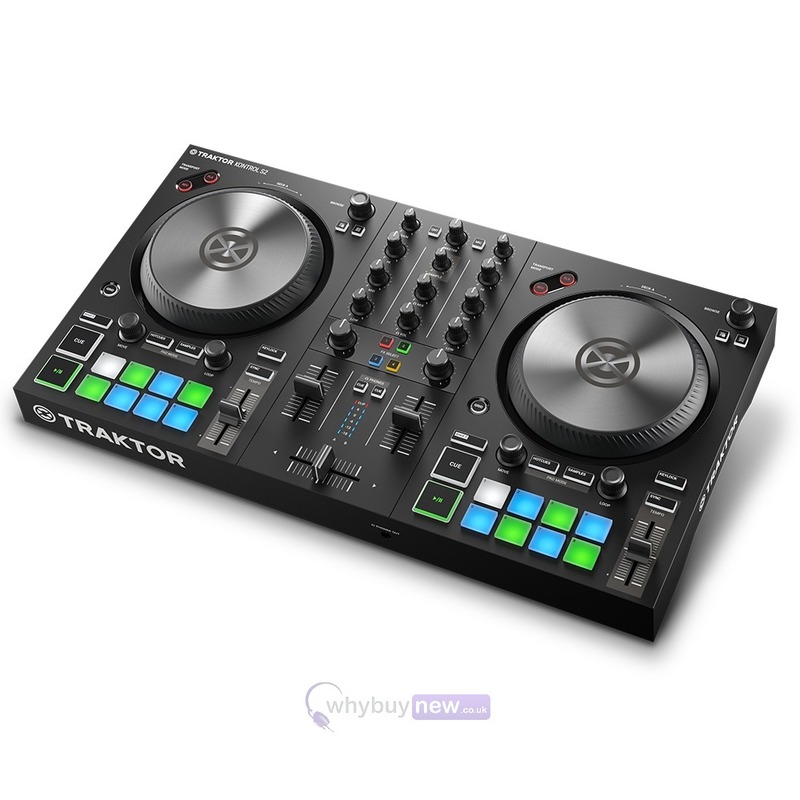 The Native Instruments Traktor Kontrol S2 MK3 is a 2-channel DJ controller that includes the full version of the professional Traktor Pro 3 DJ software. The MK3 version of the Kontrol S2 has many new features and improvements over the Kontrol S2 MK2, one of these being the new smooth and precise large jog wheels. 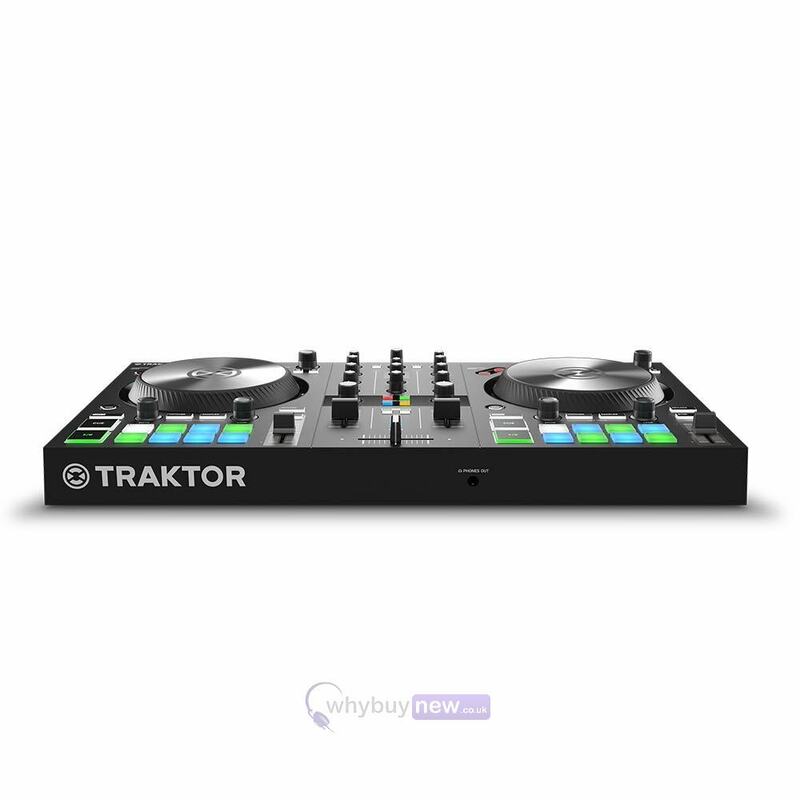 There is also a new dedicated mixer FX with Traktor Pro 3 so you can add a range of fantastic effects to your mixes! 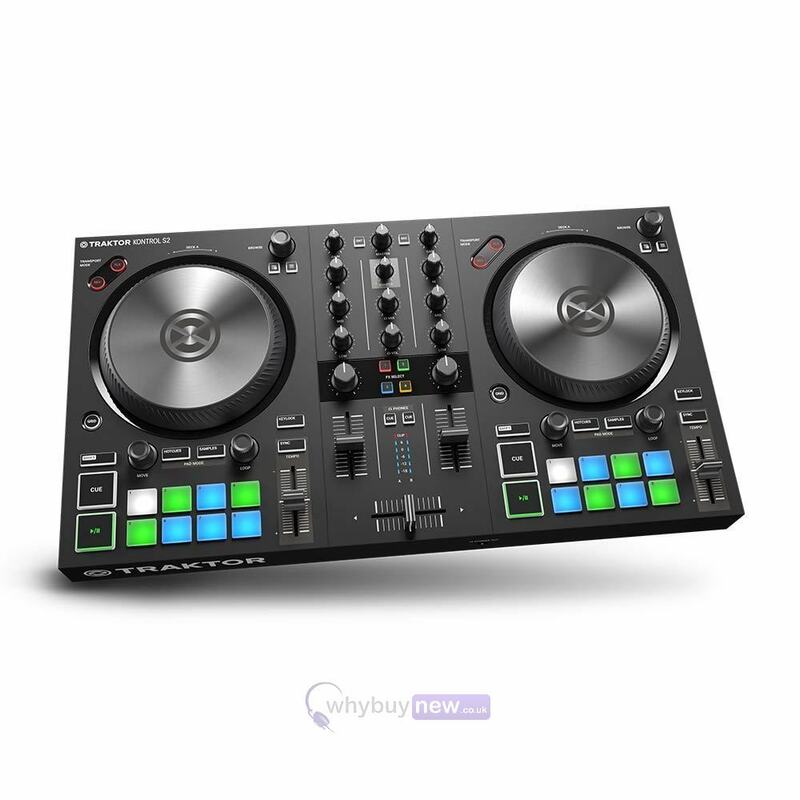 The MIKRO and A-Series Keyboards are complemented by the arrival of new entry-level DJ hardware, the TRAKTOR KONTROL S2, a portable 2-channel DJ system that gives DJs everything they need to easily create powerful sets with FX, samples, and more. 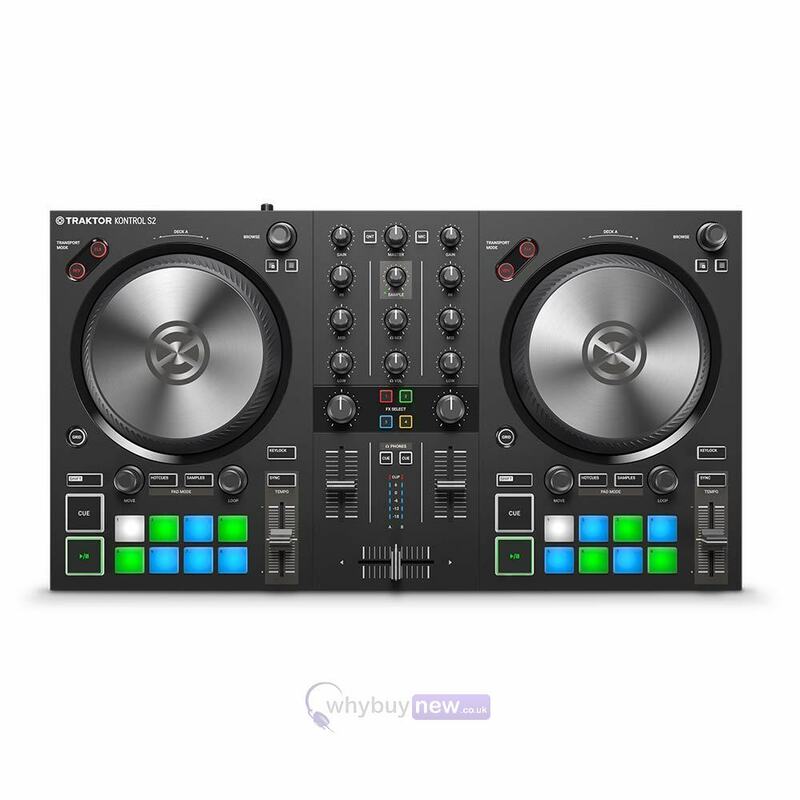 The TRAKTOR KONTROL S2 also includes a full version of the new TRAKTOR PRO 3 software. 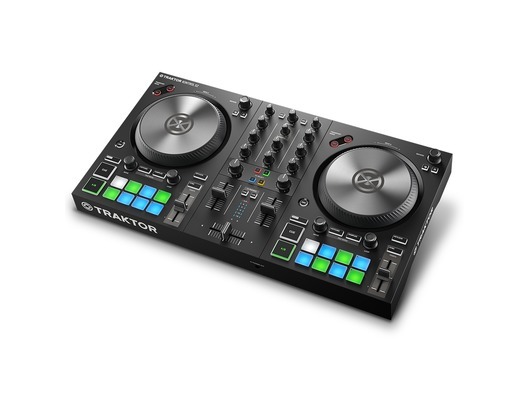 The TRAKTOR KONTROL S2 has undergone a complete redesign, with a visual language that aligns closely with TRAKTORs club-standard heritage. The system features 16 RGB pads for triggering samples and loops, as well as for setting and triggering cue points. It also provides full integration with Mixer FX in TRAKTOR PRO 3, with a dedicated control section on each channel. 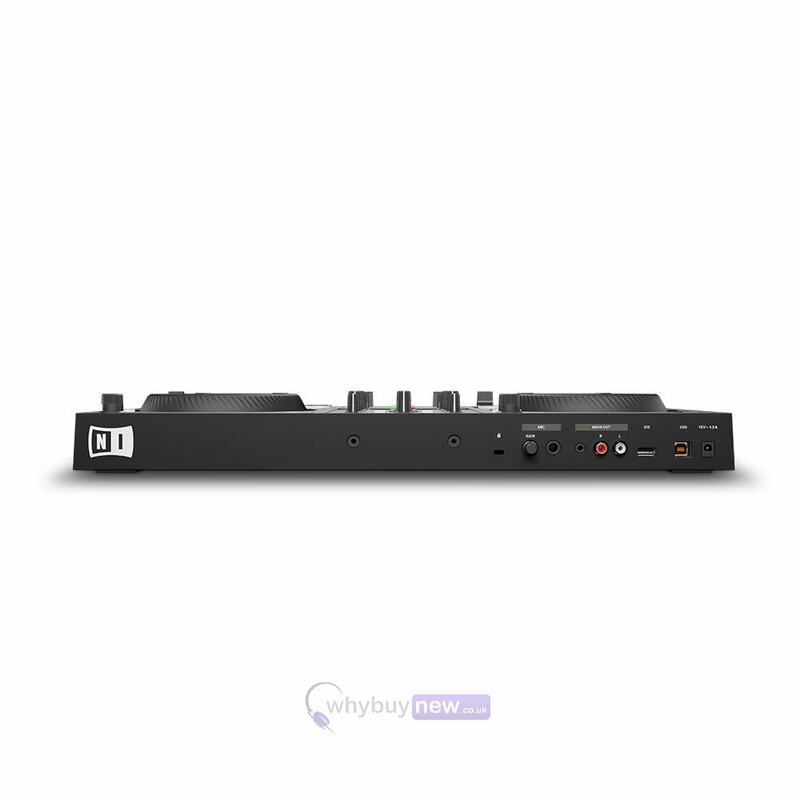 Here we have the Native Instruments Traktor Kontrol S2 MK3 in brand new condition and in B-Stock. The B-Stock versions would have been on display at a training evening or trade exhibition only and will come boxed in very good cosmetic condition (with the odd minor marks) with the USB lead, USB to lighting connector, software codes, original box and a 1-year warranty. Connectivity: 44.1/48 kHz / 24-bit audio interface, mic input (1/4" / 6.3 mm TRS), headphone out (1/8" / 3.5 mm TRS), 2x stereo main out (line and 1/8" / 3.5 mm TRS), USB port, iOS port, 12V DC. Powered via USB 2.0 or with optional power supply unit. 486 x 265 x 59 mm / 19.13" x 10.43" x 2.32"